The Supermicro 1029UX-LL3-S16 SuperServer is a 1U Rackmount server with 8 2.5" SAS3 and 2 NVMe Hot-swap Drive Bays, 4 Gigabit Ethernet ports and 750W Redundant PSU. 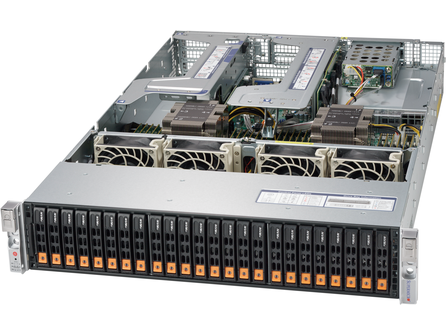 The Supermicro 2029U-TN24R4T SuperServer is a 2U Rackmount server with 24 2.5" Hot-swap and 2 rear Hot-swap Drive Bays, 4 10GBase-T LAN ports with Intel X550 and 1600W high-efficiency Redundant PSU. 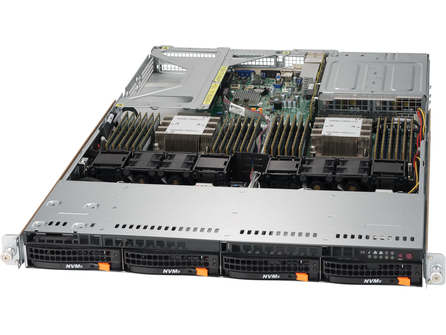 The Supermicro 6019U-TR25M SuperServer is a 1U Rackmount server with 4 3.5" Hot-swap Drive Bays, 2 25GbE SFP28 Ethernet ports and 750W Redundant PSU.